Here at Dr. Keith Schwartz, we are proud to offer an iTero 3D scanner. We want to be able to provide the highest quality care so that you can have the smile you deserve. We are constantly updating our equipment to give you state-of-the-art dental care. One of our newest pieces of equipment is our iTero 3D scanner. It allows us to take images of your smile. We can also use it to show you the results you can get with Invisalign®, which is invisible braces. One of the benefits of collecting images with our scanner is that you won’t have to get impressions made, which can be quite unpleasant. You won’t have to deal with the unpleasant taste of the material. Instead, the scanning process is quite comfortable, and you can breathe normally during the procedure. The procedure is also safe because there is no radiation. Instead, it uses a laser to form the images. Our iTero 3D scanner allows us to ensure that your Invisalign® aligners or retainers fit perfectly in your mouth. After taking the images, we can get you fitted and started with your new aligners faster than if we had to make an impression. Our iTero 3D scanner is also fast. We can see your smile and the results instantly. 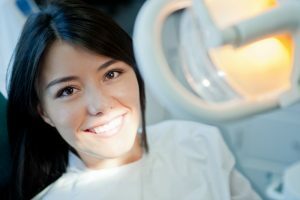 It allows us to discuss in one visit both your smile and what results we hope to achieve. We can also use this time to talk about recovery and what you should expect through the whole process of fixing your smile. If you have any questions about our iTero 3D scanner, don’t hesitate to contact us today at (954) 42-SMILE/ 427-6453.